April Magolon, 27, was at Disney World’s Epcot Center when she says one of the costumed characters got a little bit too friendly. She claims that one of the park’s costumed mascots, dressed like Donald Duck, grabbed her breast and then made a joke about it. Disney lawyers fought both the allegation and the lawsuit location, saying the suit needed to be moved to Florida and that she was suing the wrong entity. 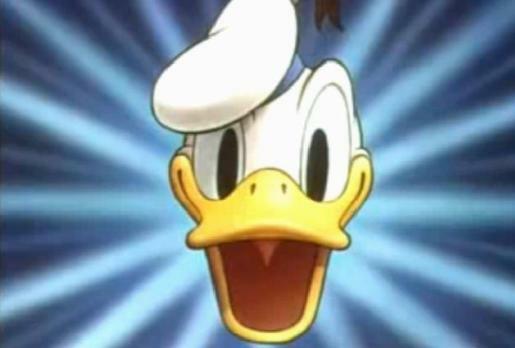 April Magolon’s lawsuit against Disney over being groped by Donald Duck will be allowed to continue. She alleges the mascot fondling she endured has given her post-traumatic stress disorder. As for Donald, well… it might be time to check into rehab. Donald Duck’s many DUIs, coupled with his Favre-like sexual harassment scandal, are too much to ignore now. This is a duck with problems, and Disney can no longer stand by and pretend this isn’t happening. Get Donald into rehab now, before he turns violent or gets hurt.